I have lived in Orange County for most of my life (aside from my 10-year stint in LA), and am constantly stumbling upon new gems that make me love my neighborhood even more. My latest discovery is A Market in Newport Beach. Now I can’t take full credit for discovering A Market as I first heard about it from my lovely friend and wedding photographer Dana Grant on her instagram, and knew I had to check it out. A Market shares the same parking lot as the famed A Restaurant, only it’s a more casual marketplace/cafe/wine cellar. The Englishman and I decided to check out A Market the morning after our friends wedding in Palm Springs. We made the bleary eyed drive back to OC determined for a strong cup of tea and a hearty breakfast and A Market did not disappoint. We wanted to try a variety of things so we started off with splitting the quiche of the day which included ham, broccoli, and cheese. It was a crust-less quiche and delicious. I haven’t had quiche in ages and this one did not disappoint. The Englishman got the Breakfast Panini which included fried eggs, ham, tomato and cheese. He also added extra bacon because, well bacon rocks. I stole a bite and loved it. The bread was perfectly grilled (a must for paninis) and the ham, egg and swiss just worked together. 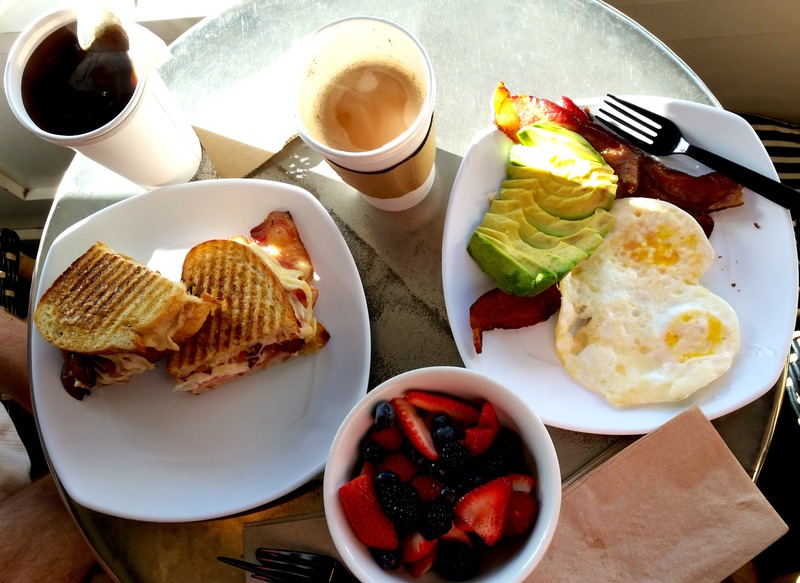 I kept things simpler and got fried eggs, bacon, avocado, and fruit. It may sound boring, but everything about this breakfast was perfect and exactly what I wanted. Since breakfast was such a big hit, I returned a week later for lunch with my blogger buddy Joelle. I went the salad route this time and got the Mediterranean Salad topped with feta, avocado, olives, tomato, cucumber and chicken with a lemon vinaigrette on the side. The salad definitely did not disappoint. Everything about it was pretty much perfect. I definitely need to come back for lunch and try some of the other salads and sandwiches on the menu. If you are looking for a cute little spot for breakfast, lunch or even a cocktail (they have those too!) then I highly recommend A Market. This is definitely going to be my new local spot! 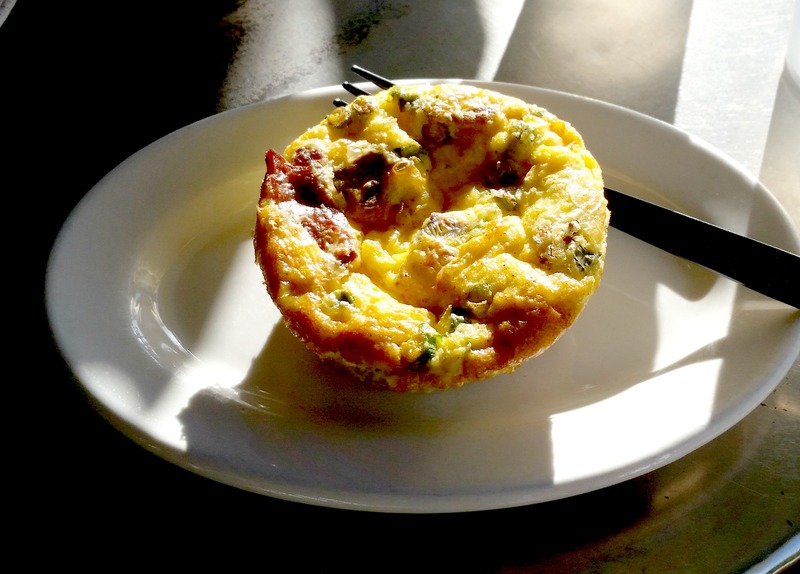 This entry was posted in Best Of, Breakfast, Good Eats and tagged eggs, local favorites, lunch on March 30, 2015 by allie@sweetpotatobites. One of the great things about working in Laguna Beach is that I’m literally a hop, skip, and a step away from all the cute cafes and shops in downtown, and of course, the beach. Naturally speaking, all the cute cafes and shops also have cute price tags as well, so I try to limit my downtown lunching to once every other week. But today the skies were blue and the temperature was giving off the first real indications of spring (in socal anyway), so my coworker and I decided to head downtown for a nice leisurely lunch. We considered going to our standby favorite Zinc Cafe, but decided we weren’t feeling like spending $$$ on lunch (sorry Zinc!) 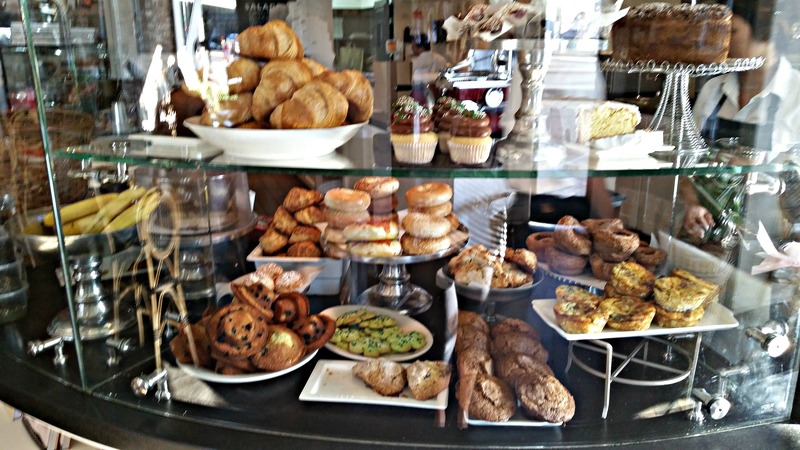 so we popped into a cafe up the road – Cafe Anastasia. One of the things I like most about Cafe Anastasia is that it’s attached to a cute little clothes boutique, so you can window shop while you eat. 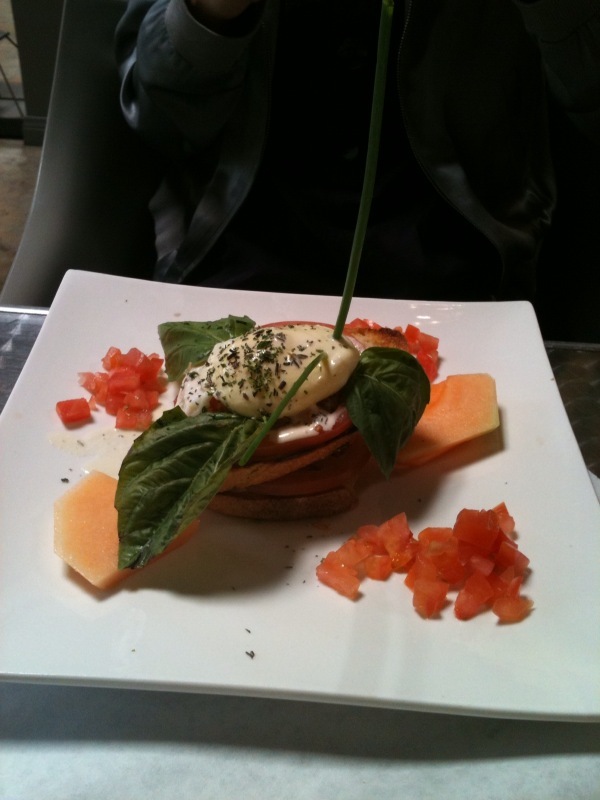 My coworker decided on the Eggs Napoleon (aka fancy eggs benedict) for lunch and I chose La Greque (aka Greek salad). When they brought out the Eggs Napoleon it was plated so cute! The “La Greque” was good, but it was missing something. Chicken maybe? Pine nuts? 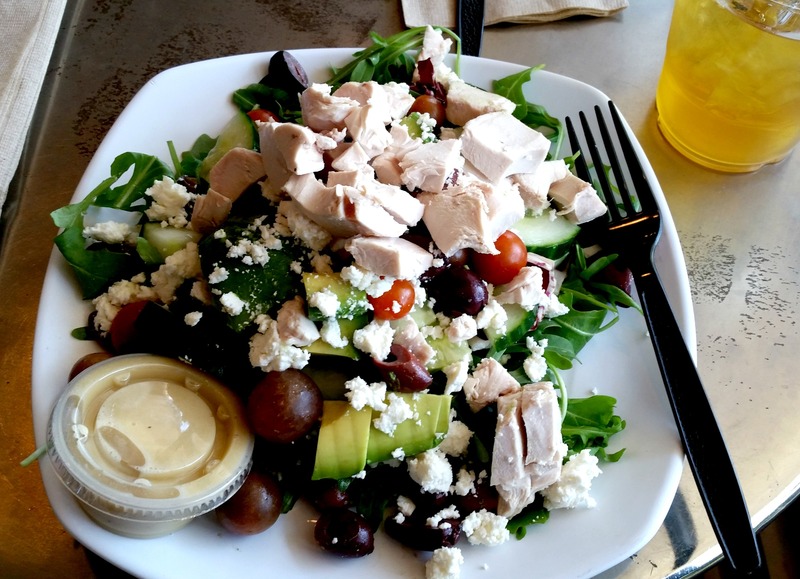 I loved the fresh feta and olives, but I felt like the salad could use a little more pizazz. At least the unpictured french bread that was served was delish and my coworker loved her Eggs Napoleon. They also serve iced earl grey tea here which I thought was interesting. 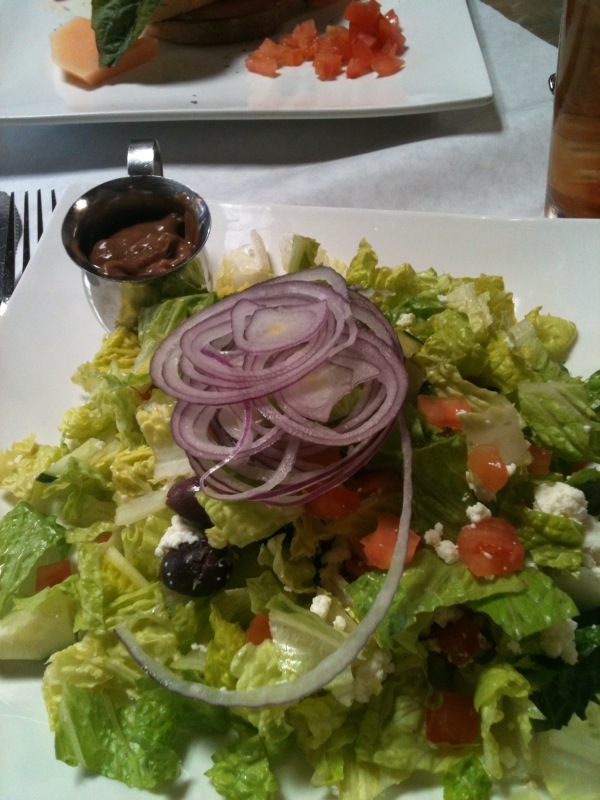 This entry was posted in Uncategorized and tagged eggs, laguna beach, lunch, salad on March 4, 2011 by allie@sweetpotatobites.